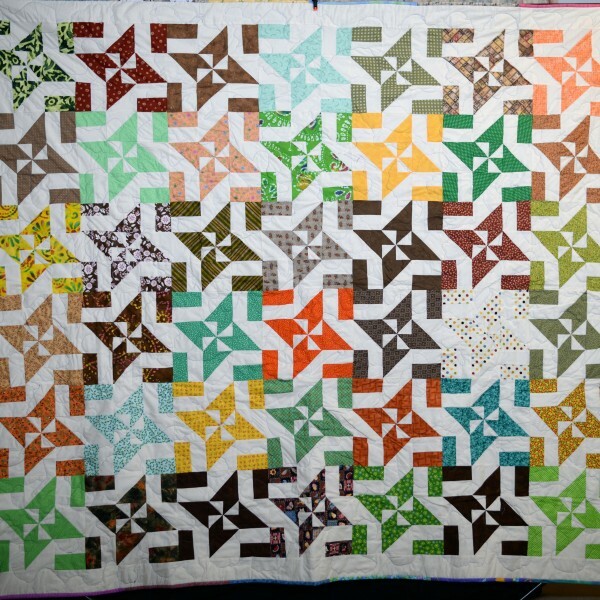 This quilt is made with small print calicoes. 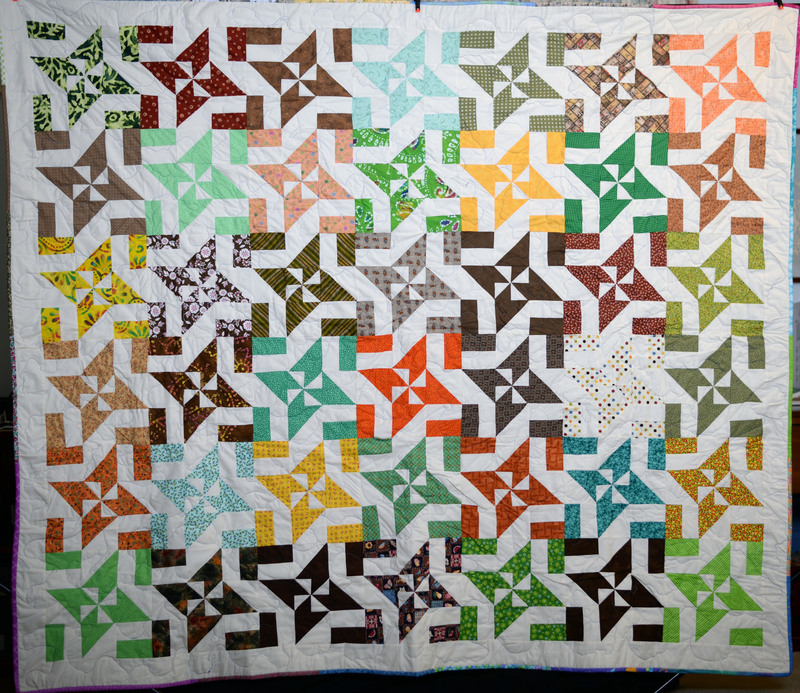 It is another scrappy quilt. It also has a scrappy binding that echoes the prints that are used in the quilt top itself. It is a Full size quilt measuring 82″ X 90″.